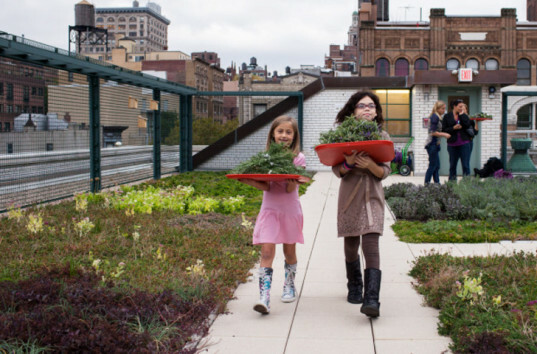 One New York City public school is paving the way for teachers to share hands-on learning opportunities with students, using beautiful green-topped roofs and a collection of solar panels. 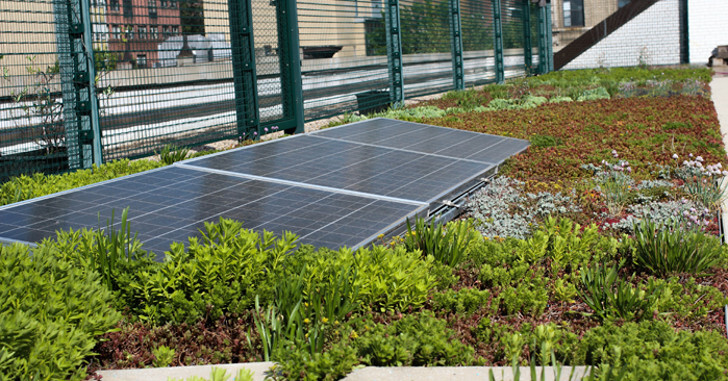 PS 41, located in Manhattan’s Greenwich Village, has sported a green roof since 2003 and added a solar array in 2013 after years of planning and design. By next summer, 24 other New York schools will have a similar solar setup, allowing teachers to demonstrate in real life some of the lessons students are learning in the classroom. Vicki Sando is the mastermind behind PS 41’s roof garden, which she founded in 2003 when she was a parent at the school. Although it took a while to get people excited about it, the garden eventually flourished and is now a lush oasis in the city, adorned with brightly colored flowers, fresh herbs, and native grasses. Sando and others at PS 41 spent four years designing and researching options before installing the small solar panel array in 2013, nestling right into the green space. Since that time, the city has launched a $23 million program to install solar panels at 24 public schools in New York City. Installation is in progress at PS 69 on Staten Island and the other 23 schools are slated to have solar panels up and running by the middle of 2016. The solar panels at PS 41 don’t generate a ton of energy and they aren’t connected to the city’s power grid, but that is beside the point. It’s about educational opportunities, and about getting kids familiar with solar technology. As Sando told Capital, “We made connections between plant study. Plants are little solar cells. I had my fifth graders take apart a solar calculator and show them how it worked. We don’t have a stand-alone curriculum on solar, but we’ll do projects where we’ll fold it into it.” Essentially, the array allows students to see first hand what cleaner energy looks and feels like, which will be increasingly important as these grade schoolers grow up and inherit a world plagued by pollution and dwindling natural resources.